Just after midnight on Friday, April 10, Apple officially started taking pre-orders for the Apple Watch (to be released April 24). The device has garnered a lot of interest from shoppers and the media alike. But let’s be honest – the new Apple Watch isn’t for everyone. You need an Apple iPhone to use it, so Android smartphone owners are out of luck. The device is brand new and hasn’t been battle tested. And with a price range that starts at $349 and runs all the way up to $17,000, it’s certainly not a bargain, either. Good news, however: There are plenty of worthy Android and iPhone-compatible smart watches that don’t share these very specific Apple Watch weaknesses. To prove the point, we’ve compiled this list of great Apple Watch alternatives below that are definitely worth a look. If you haven’t taken a look at the Pebble smart watch since its black-and-white e-paper formative days, you owe the company a second look. It’s latest watch, the Pebble Time Steel, has an upgraded 1.25” color e-paper display, a 3D accelerometer, compass and a mic for voice commands. The Steel connects to your iOS or Android smartphone via Bluetooth to control music and receive emails, messages and texts. Plenty of third-party apps are available for the watch, as well (Runkeeper, Weather Channel). The best feature of the Pebble Time Steel may be its battery life, however – it can go a full 10 days without a full charge. The main downside to the Pebble Time Steel is that it’s running neither an Apple-based nor an Android-based operating system. That’s not a huge problem – there are plenty of solid third-party apps available for the Steel, from Runkeeper, Misfit, Weather Channel and more big names. But it simply won’t have the same kind of intense third-party support that giants like Apple and Google can command. The Pebble Time Steel is coming this July with a price of $299 in brushed stainless, matte black and gold finishes. At first glance, you might not immediately recognize the Samsung Gear Fit as a fully featured smart watch – its long, 1.84” AMOLED digital screen looks like it belongs on an activity monitor. But really, that’s what the waterproof Gear Fit is – it’s an activity monitor for fitness fanatics that doubles as a smart watch. It features an accelerometer, gyroscope and heart rate sensor to accurately track all your exercise. But it also has the smart watch features most buyers are looking for, like receiving emails and SMS messages, displaying call notifications and more. And it does it all at a killer price point. 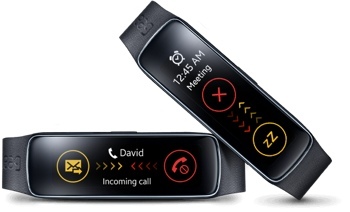 The lightweight Samsung Gear Fit works with most Samsung Galaxy branded Android smartphones and tablets. You can find the Gear Fit at Amazon.com for just $133.37. Looking for a smart watch with a more classic analog watch look? Check out the LG G Watch R. Like the Apple Watch, the water-resistant G Watch R tracks calories burned, sleep quality and other important health and fitness metrics. It runs Android Wear wearable operating system, so it runs a multitude of apps, including Google Maps, Edmondo Running and Facebook Messenger. 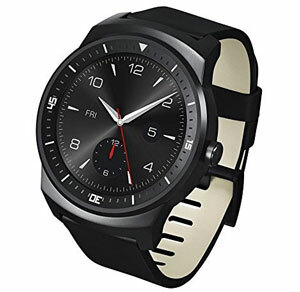 The sporty LG G Watch R is compatible with the Android phones running Android 4.3 and higher. It is available on Amazon.com for $299. The Motorola Moto 360 is a beautiful smart watch that pairs with Android 4.3 smartphones and higher. It features a scratch-resistant, 1.5” circular touch screen, plenty of fitness tracking functions and face customization options, 512MB of RAM and the Android Wear wearable operating system. It can receive call alerts, text messages, social media updates, GPS directions and more. You can even send short messages via voice command. The Moto 360 charges at night, though be forewarned – its battery life is less than stellar, especially if you use it often. Many owners complain that their Moto 360 dies before the end of the day (10 to 12 hours). Still, if you can handle this notable shortcoming, you can get this great smartwatch for just $179.00 on Amazon. Seiko, Citizen, Piaget, Cartier, and a Big Etc. Thank You, but I will wait until real watchmakers start making real smartwatches, and not this junk. After having a nice Citizen watch disappear (perhaps a pin came out…) and having worn a very cheap ‘Casio Solar’ for 5 years (no fear of losing integrity when changing batteries there… no batteries to change) I’m over ‘real watches’. I’d say my wife’s ‘Mi band 3’ which gives her very tangible alerts when her phone rings (set on silent, often in her bag…) and allows her to see who/what’s coming in is worth more than any Cartier. How are these Apple Watch Alternatives? Only 1 of these would be an Apple Watch Alternative! 3 of them do not operate on IOS platform. They’re good alternatives for Android owners, which is why they’re listed here. It’s also worth noting here that while Android Wear currently works only with Android, Google is currently close to finishing a companion iOS app. 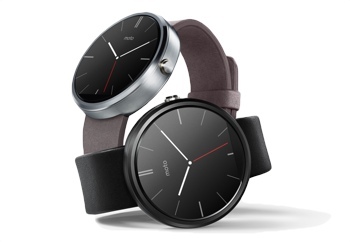 Once finished, it will let you use the Moto 360, LG G Watch R and other Android watches with your iPhone. Your Pebble section is confusing. You specifically mention the Time Steel’s color display and mic, but the 7-day battery life and $199 price point belong to the original Pebble Steel. You’ve also included a photo of the original Pebble Steel. Which watch did you intend on writing about? Good eye, looks like a wire got crossed! 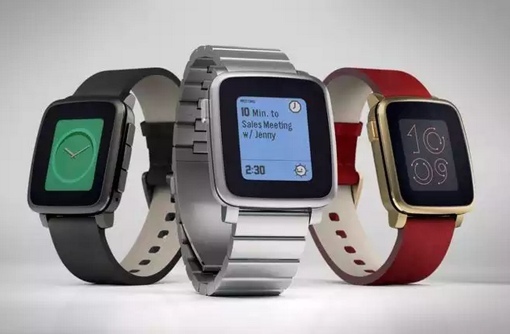 Indeed, the coming Pebble Time Steel is slated to have 10-day battery life and a $299 price point. I modified the article to reflect this. Sorry if the original text (and the original image) was confusing. Very inaccurate article - the moto360 lasts well over 30 hours of battery life. Due to a poor (Bluetooth) driver , when the original device shipped it only gave about 12 - 14 hours of battery life ( you know, just like the current Apple watch), this was fixed very soon after discovered. At any rate, the Android Wear watches offer similar (arguably better) features/capabilities to the Apple watch (though they have been out almost a year before apple released theirs). I am yet to see anything unique that the Apple watch provides (user interface is poorly thought out IMHO).